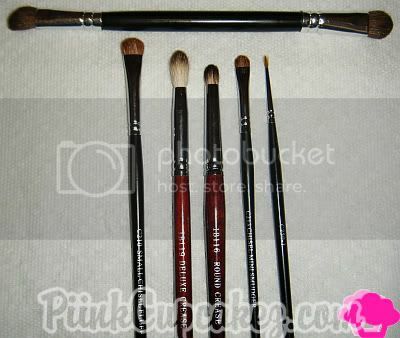 i was asked to do a post showing what brushes i use for my eyes..
don't remember who its by though.. studio tools maybe? 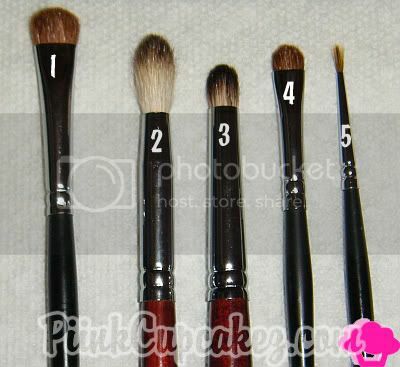 I want some of those brushes I seen popped up lately at Walmart. They're by the same who make those EcoTools brushes. those are great brushes~ i still need to buy some new ones! I've been intrigued by the Crown brushes but never got around to testing the waters. How are their shipping prices and time?